In 2008, we hosted the Old Hatfield Charrette in the Riding School at Hatfield Park. The aim was to give residents the opportunity to discuss problems that the town faced at the time, such as lack of parking, poor quality shopping and unattractive civic spaces, and to consider how we might solve them together. Those attending responded enthusiastically, bringing energy, expertise and aspiration – there were some lively debates. Respected urban planner Andres Duany led the design process, assisted by a team of experienced designers. Local residents attended plus business owners and local planners. Working at a fast pace the team produced an impressive array of work, including masterplans, diagrams and illustrations which still guide development today. 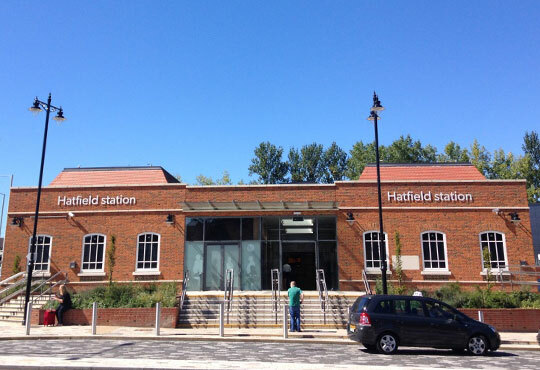 Residents were enthusiastic, offering comprehensive verbal and written feedback and information on Old Hatfield’s history, ensuring the design team could produced a well-received, coherent and collective proposal. In 2011, we hosted a three-day charrette in Mill Green to discuss how we might revive the hamlet. Again, it gave residents a platform to discuss the challenges they were facing, and how to improve both the natural and built environment whilst simultaneously creating a stronger village community. Specialist expertise from Hatfield Park Estate and Brooks Murray Architects guided the process, presenting proposals which residents responded to and refined. The majority of locals were optimistic about how the village facilities could be revitalised, the museum, open spaces and landscaping improved and a new development incorporated within the village. Progressing these plans has taken time due to changes in planning policy. A formal planning application, closely reflecting the Charrette outcomes, has recently been prepared and will be determined during Autumn 2016. Most recently, earlier in 2016, Gascoyne Cecil hosted the Stanboroughbury and Symondshyde Charrette. 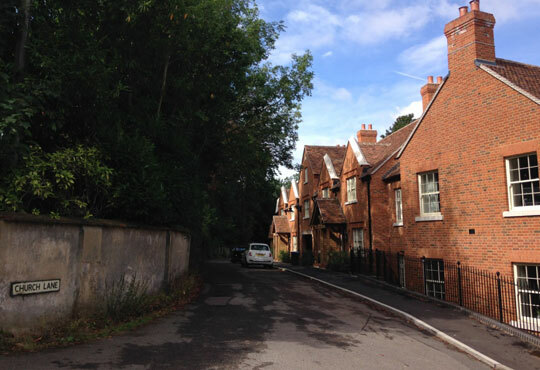 Responding to housing demand and the call for sites in the Local Plan process, and after an extensive study of the land we own and manage, we had concluded these two sites held potential to reinvigorate Hertfordshire’s pioneering planning history with carefully designed, built and managed communities. The charrette was a vital part of this process, enabling us to relay our thoughts to local communities concerned, and for those who attended to inform us of their specific or wider concerns about the location, design or vision for these proposals. We invited over a thousand people from the local area to a comprehensive 8-day design process. Several hundred managed to attend throughout the week, offering important critiques, acute local knowledge, concerns or enthusiasm. Since the original charrette in 2008, we have worked alongside the local community to deliver this shared vision for Old Hatfield. 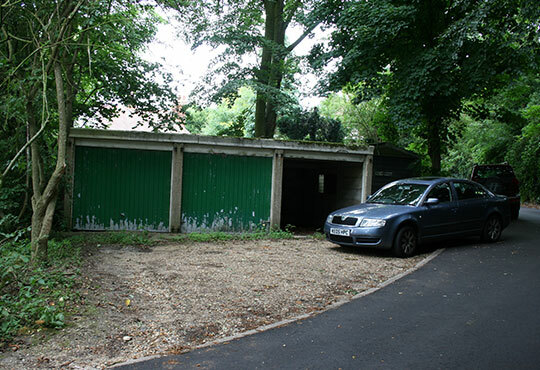 Dunhams Mews (a development of nine homes) replaced an ugly garage court which was no longer fit for purpose. 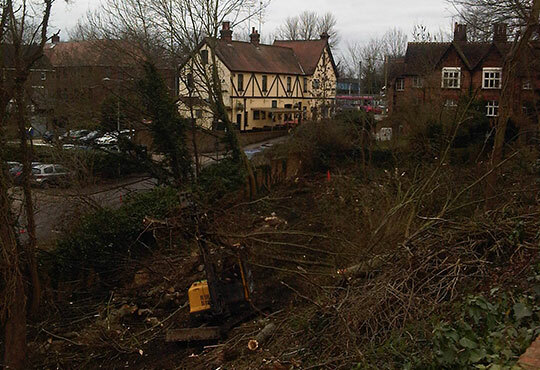 Arm and Sword Lane has been resurrected with further new housing and business premises. Church Lane has also been much improved whilst the railway station is transformed as an attractive and locally valued transport interchange. 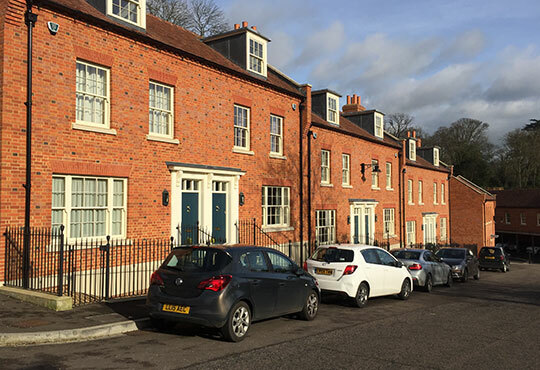 In Church Lane we have built a further ten new dwellings. These prove that high density development can still be attractive and enhance locations. Whilst ten cottages have replaced just four flats feedback has been resoundingly positive. Arm and Sword Lane provides proof that it is possible to build traditional architecture whilst embracing modern sustainable technology. 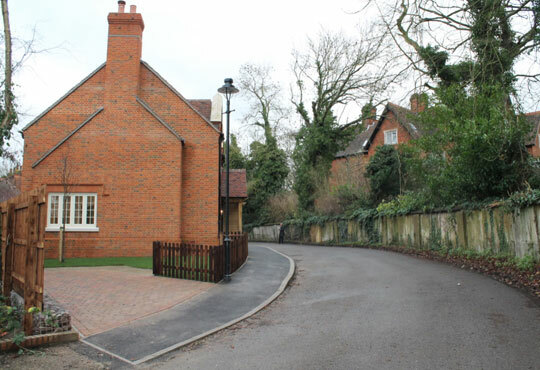 All houses and business premises within this development are heated and cooled using shared ground source heat pumps.